You’ve just purchased a new home and you’re excited to move in and start decorating. Even if your home underwent a new construction or pre-purchase inspection, some issues could still arise after you move in. Remember to mark your calendars for 11 months, because your builder’s warranty expires 1 year after you move into your new home. What is a pre-warranty home inspection? Pre-warranty expiration inspections are performed the month before your new home’s warranty expires. Even if you don’t detect any issues with your home after 1 year, you should still hire an inspector to evaluate the overall condition of your home. During the first year of your residency, you should start compiling a list of small issues that you have found in your home. Although not all issues are visible with a standard home walk-through, it is still good to take notes about the problem areas so your inspector can investigate those areas further. Some moisture could have accumulated in your attic that might not have caused any visible damage but could become a problem later on. Save yourself the hassle and hire a professional, experienced inspector to inspect all those hard to reach and hard to see places in your home. Even if you hire an inspector to perform a new construction or pre-purchase inspection before moving into your new home, you should still get a pre-warranty inspection within the first year of your residency to ensure nothing has gone wrong during your first months of living there. Call Done Right Home Inspection for certified, professional pre-warranty home inspections in Central Iowa! Hiring an experienced inspector gives you peace of mind that your home is in good hands. Many inspectors specialize in a certain type of inspection or are proficient in many different types of inspection; whether that be residential, commercial, pre-purchase, or new construction inspections. An inspector should be able to provide you with a history of how many years they have been working in the inspection industry and the type of inspections they specialize in. When you are shopping around for a qualified inspector, do your research. Customer reviews can tell you a lot about the quality of work that the inspector provides. Although positive reviews are very important, don’t let a few negative reviews completely turn you away from an inspector. Before hiring a home inspector, do your research. It is important to have a general idea of what a home inspection in your areas costs. If your inspector gives you a quote that strays too far from other competitors, always double check their pricing to make sure you aren’t getting overcharged. Typical home inspection pricing is dependent on the size of the home and can also cost more depending on additional buildings or amenities on the property. Check to see what parts of your home will be inspected. Make sure what areas of your home are being inspected. Some home inspectors are more expensive because certain parts of your home are included in the inspection, whereas other inspectors might not inspect those areas. As stated earlier, this is specific to each inspector and could fluctuate based on price. The average on-site home inspection will typically take 2-3 hours for a single family home. Always take into account that your inspection could take a lot longer if you have a larger house with additional buildings or sheds, a pool, or other additional amenities. Red flags arrise when your inspector says they’ll be done in an hour, or under an hour. This can tell you that they might not provide the most thorough inspection or could be cutting corners. Make sure you’re getting your money’s worth before hiring an inspector. You should always have the option to be present at the inspection. At Done Right Home Inspection, we prefer when homeowners are present during the inspection so that we can go into greater detail about the inspection findings or let the homeowners know of any problems or concerns that might need immediate attention. Interested in a home inspection for your Central Iowa property? Call us today, or go online to request an inspection for your property. The winter in Iowa is typically the driest time of year. Homeowners use humidifiers to restore the moisture in their home to a comfortable living atmosphere. As the snow starts to melt when Spring arrives, make sure your home is protected. The weather in Iowa can change rapidly. When the temperatures increase and decrease rapidly, it is important to keep an eye out for any water or dampness in your home’s basement. Even the smallest amount of water or moisture that seeps into your basement can result in very expensive and timely repairs. If you are unaware of moisture in your basement, Done Right Home Inspection is able to detect even the smallest amount of water that could cause future damage in your home. Your roof is important, because it is your home’s protective barrier from all outside weather elements. When your roof is damaged, it jeopardizes the inside of your home. 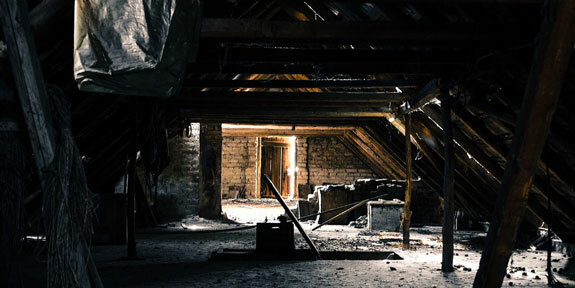 A new roof can be very expensive to replace, but it is important in order to save yourself from more severe water damage in your attic or inside your home. Your roof could become damaged from debris that falls from your surrounding trees. Your roof is more likely to attract and absorb water when there is debris such as leaves and sticks that sit on top of your shingles. Before the first snowfall in the winter, you should clean off your roof to prevent excessive water from accumulating on your roof. Roof damage can be hard to detect early on. You should be continually monitoring your roof in order to prevent water damage before it damages the interior of your home. Do a thorough pre-winter and post-winter check. Make sure to clean out your gutters to allow for proper drainage of melting snow, ice, and water. Water damage inside your home can be caused by many things. Bursting or leaking pipes can immediately cause very severe water damage in your home. You may start to notice your sink draining slowly, or your garbage disposal acting funny. These are signs that you might have buildup in your pipes that could lead to leaky pipes. During the rainy Iowa spring or melting snow in the winter, make sure that your sump pump is working properly. As the snow starts to melt, flash flooding can occur. Your sump pump is important because it removes ground water from underneath the house and prevents the water from leaking into your home. Basement flooding is commonly caused from sump pump failure. Frequently check your sump pump during rainy days or when the weather starts to warm up. 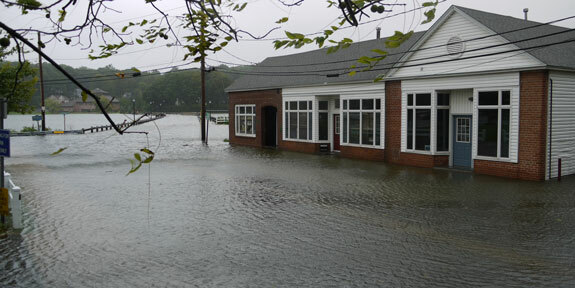 There are many precautions you should take to prevent flooding in your home. If you are buying or selling your home, a home inspector will be able to easily detect any unseen water damage or moisture buildup in your property. Moisture in the walls, ceiling, or attic can be very expensive to fix. If you are concerned with moisture or water in your home, call Done Right Home Inspection for a thorough inspection for your residential property. Iowa winters are often very cold and dry. The humidity levels in your home drop to very low amounts, making your home uncomfortable to live in. A simple solution? You should invest in a humidifier to replenish the necessary moisture in your home that makes it a comfortable living environment. Humidity levels should ideally be around 30%, and in the winter months it usually falls to less than 10%. There are many important benefits of humidity in your home, and a humidifier can greatly help to make your home a more comfortable living environment. While very high moisture levels can damage your furniture, so can very low moisture levels. There needs to be happy medium. Too little moisture can cause your wood furniture and flooring to split or crack unexpectedly. To preserve your wooden belongings, add a humidifier to your rooms. It is important to remember to monitor and track the humidity levels in each room to ensure you don’t overdo it. Humidifiers have great health benefits, but that doesn’t mean you should not be running it all the time. Dry winter air can dry out your sinuses, lowering your immune resistance to unwanted bacteria. Believe it or not, viruses have trouble traveling in moist air. This means that when your home has moisture in the air, you are less likely to get sick. Lastly, we all know that dry air leads to dry, itchy skin. When you replenish the air with the necessary moisture, your skin will feel better and more naturally moisturized. It is known that dry air feels a lot cooler than moist air. When your home has less than 10% moisture, it is going to feel cold and very drafty. Adding a humidifier can help make your home more comfortable, warm, and could save you money from having to constantly run your heat during the cold, sub-zero Central Iowa temperatures. Sleeping with a humidifier will allow you to breath more comfortably and wake up without a dry nose or throat. Dry air will make throats and noses drier, and tend to cause more snoring. To reduce this, sleep with a humidifier and you will feel more comfortable and refreshed when you wake up. You should remember to change the filters on your humidifier regularly as recommended. It is often advised to use distilled water because it doesn’t contain any minerals that can build up within your humidifier, causing damage. 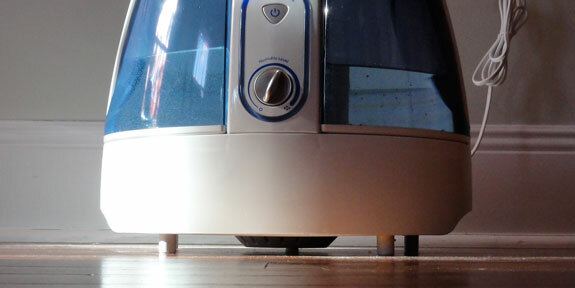 Using water with fewer minerals will also save you the hassle of having to clean your humidifier often. Done Right Home Inspection wants to ensure your home is in the best condition possible. Contact us for any questions about your home! Hiring an inspector to perform a pre-listing inspection is an important step in your home selling process. When potential buyers are interested in your home, they will be comfortable placing an offer when they know the true condition of the home. Buyers rely on pre-purchase inspections to give them peace of mind before moving into a home. 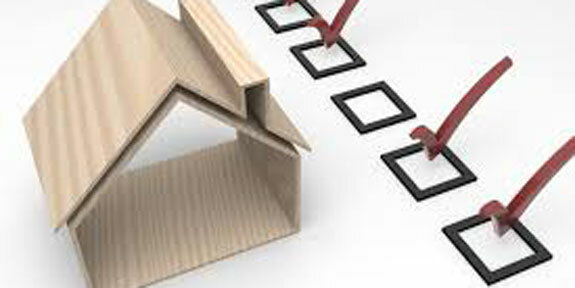 Contact Done Right Home Inspection for a thorough pre-listing inspection for your home today. Deciding to get a home inspection, whether you’re a seller or a soon-to-be (new) homebuyer, is an important first step in the overall process. A home inspection puts everything out on the table – including the good, the bad, and the “needs work” in the home. The home inspection process lets the seller, or buyer, know the behind-the-scenes condition of the home before any negotiations are made during the closing process. If an inspector finds any issues with the home, it is the seller’s job to truthfully notify any potential buyers of the things that need fixed. Inspections can be scary. Typically what you see on the surface of a home turns out to be entirely different from what an inspector finds Always prepare for the worst and hope for the best possible outcome. If an inspector finds issues in your home, know that it is better to discuss the issues with the buyer from the beginning of the buying process rather than hiding it from them and face the consequences. Hiding your home’s true condition with a buyer can cause legal issues later on. For many buyers, the thought of a home inspection causes panic from possibly having their dream home ripped away from them because of severe problems that would make the home “unbuyable” in their eyes.. No homeowner wants to deal with thousands of dollars in repairs immediately after moving in, so if the problems need immediate attention, that scenario could scare away a handful of buyers. When an inspector uncovers issues in your home, you have two options moving forward. Option 1 is to fix the issues yourself. Option 2 is to notify the buyers of the issue and bargain a closing deal so they can fix the issues themselves after moving in. There are pros and cons of both options. If the seller chooses to fix the problem themselves, this could prolong the closing process. If the buyer agrees to fix the home’s issues, this could be more expensive depending on the bids they submit from the repair companies. Typically when there are issues with the home that could be a substantial investment to fix, buyers will negotiate a much lower price to allow room in their budget for costly repairs. If the buyer wants to fix the problems themselves, they should submit a request for repairs and give the seller a quote based on the cost of the fixes or repairs. Overall, a compromise between buyer and seller is the best way to approach this situation. Des Moines Home Inspections – We Can Help! At Done Right Home Inspection, we want to help make your home inspection process simple and easy. Our pre-listing inspections can help you to increase your home’s value, ensure a faster selling process, and avoid future problems for your buyers later on. Contact us today to request an inspection for your Central Iowa property! Heating and cooling systems don’t last forever. They require routine maintenance and servicing in order to keep them in proper working condition for longer. When buying a new home, it is important that your inspector carefully checks the homeowners upkeep of their heating and cooling systems, the age of the system, and the overall functionality. Running the systems will help you detect any issues. Although homeowners should get their furnace serviced every year, many fail to do this if their systems seem to be working properly with no issues. Neglecting to clean your furnace can result in dirty air ducts and system failure. Plumbing issues might be one of the hardest issues to detect during an inspection. Pipes are typically hidden out-of-sight. Older homes seem to pose more problems with plumbing. It is important that your inspector double checks under all sinks and checks for loose or leaky pipes. It is also important that they check the ceiling or walls for water stains which can indicate a prior leak. When a home isn’t ventilated properly, mold or mildew can start to form. It is important that there is sufficient air flow throughout every room in the house, including the garage and attic. Moisture tends to build up in bathrooms, so it is necessary to have a ventilation fan that works well. Inspectors will make sure that your electric is up to code in order to prevent future problems down the road. Common electrical safety concerns include knob and tube wiring, grounded outlets, and ground fault breaker outlets can pose as a hazard for families with young children. 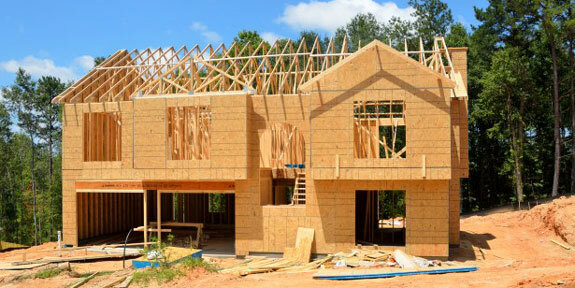 When buying a home, the roof is something you should never compromise on. Roof issues can lead to much more serious issues. One of the only problems with roofs is that homeowners won’t address a weathering roof until there is serious damage because the cost to fix or replace a roof is very high. Your inspector will check each and every window to make sure they all function properly. They will check to make sure the windows open, close, and are sealed tight. 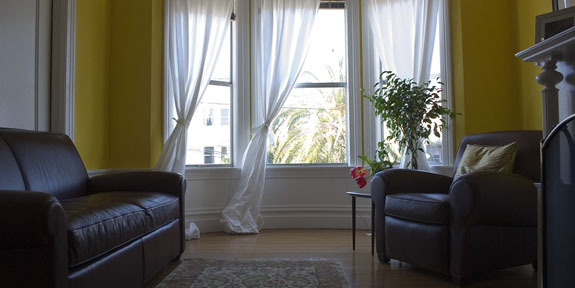 When a window is not sealed properly, cold or hot air can seep in causing your heating and cooling systems to work twice as hard to maintain the desired temperature. When homeowners are negotiating added cost for the appliances in the home, it is important that the appliances are in good working order. Your inspector can do research on the year, brand, and model and figure out how old the appliance is, if there’s still a warranty, or possibly a recall. If the appliance will need replaced within the next year, you can save yourself a lot of money by doing the research beforehand.